Our policies are in place to promote safety and comfort in the studio and to assist you in gaining a “healthy” return on your investment of time and money. Thank you! Registration: Clients must schedule and/or cancel their appointments via the MindBody Online Scheduler. You will find the Mindbody page link at the top of the page as - MY ACCOUNT. We will not accept cancellations over the phone or by e-mail as we do not have a receptionist and do not answer the phone/e-mail during classes or private sessions. Intake Forms: Before training, all clients and guests must fill out the Client information form and read and sign the Waiver of Liability. Please arrive early on your first visit to complete these forms. Payments: Required in advance by cash, or check at studio. Payments with Visa or MasterCard are preferred via our website. There are no refunds. All autopay memberships packages are repurchased after last session is used and will continue for 12 month span or until canceled by a 30 day advanced email to Anthony@lithecore.com. Sessions: All sessions expire 6 months from date of purchase and any unused sessions are forfeited upon expiration. Cancellations: 12 hour notice of cancellation is required for all sessions. Without such notice the sessions / classes you reserved a spot in will be forfeited. If there is only one participant in a semi-private or group session. The client will have the option to take a 30 minute private session for the price of their one class -OR- use 2 classes on their package for a full private session. 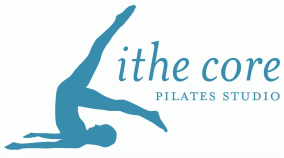 Equipment Classes: All clients new to Lithe Core are required to complete at least one private evaluation session before signing up for Equipment classes. This is to ensure the safety of the client as well as to maintain the flow of the class. Equipment Cleaning: Disinfectant and towels are provided for cleaning mats and equipment. Always remember to clean equipment, mats, and props/accessories after use. Studio Etiquette: Please sign in, silence (vibrate) cell phones. Refrain from chewing gum for safety reasons. Abstain from wearing fragrances due to environmental sensitivities. All sessions are by appointment only and 50 – 55 minutes, unless otherwise noted. If you are late, your session will end on time. Fees, services, instructors, and hours of operation are subject to change, without notice. Please confirm all class schedules. Complimentary sessions are not available to our out of area visitors. Lithe Core is an open concept studio; classes and/or rehabilitation may be occurring concurrently. Please keep conversation to an appropriate level. Update your information. Please keep us up to date with changes in address, phone number, email address, and medical conditions. For a safe and sanitary experience, we require all students to wear socks. Lithe Core Pilates Studio © All Rights Reserved.